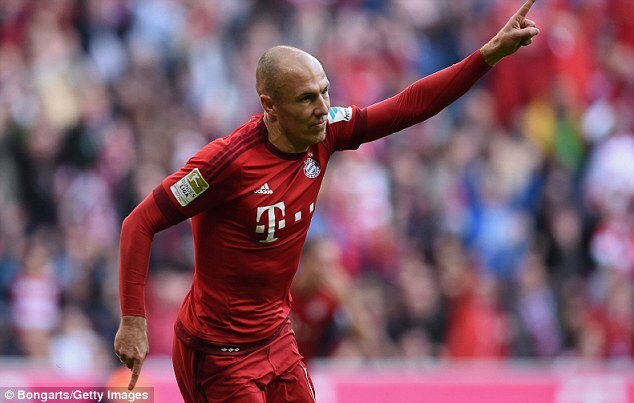 Dutch winger ArjenRobben has had an illustrious career. Despite his fitness affecting him, he remains one of the most prominent players in his position in the history of the game. The Bayern Munich star is not sure of remaining in Germany for long as he eyes a return to his native. The former Chelsea and Real Madrid star wants to return to the Netherlands after his career so he might not commit to further play time at the Allianz Arena, according to reports. He had won various titles in his home country, England, Spain and Germany. On the international stage, he has been exceptional as well. Mr Cut-inside as he is fondly called is revered for his killer left foot. He cuts from the right wing and buries the ball at the back of the net often. The 33-year old player might call time on his career at the end of this season. He scored 13 goals and created 49 chances last season. While he can still play on, he is inclined to consider a move back home. The player agreed a deal that would keep him at Bayern until the end of the forthcoming season – May 2018. While he is yet to confirm his next career move, he has revealed that he would love to return to FC Groningen where he started his football journey. The player says he would consider his next steps when he walks away from the game. He hints that he wants to be away from football and do nothing. He adds that he is certain of returning to Holland when he retires. Even at his age, the player is still the preferred choice at Bayern, way ahead of younger players. Posted: July 14th, 2017 under Uncategorized.